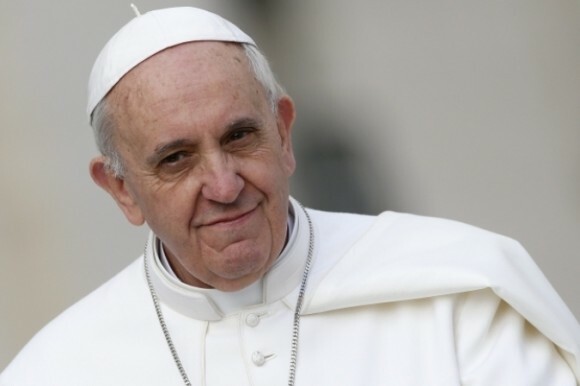 Pope Francis has called for increased cooperation among Christians to protect religious freedom and the right to promote Christian values in society without discrimination. In a message delivered on Saturday to Orthodox Ecumenical Patriarch Bartholomew of Constantinople, he said there is “an urgent need for effective and committed cooperation among Christians in order to safeguard everywhere the right to express publicly one;s faith and to be treated fairly when promoting the contribution which Christianity continues to offer to contemporary society and culture”. The pope’s message was carried to Patriarch Bartholomew by Cardinal Kurt Koch, president of the Pontifical Council for Promoting Christian Unity, who led a Vatican delegation to Istanbul for the feast of St. Andrew the Apostle, the patriarchate’s patron saint. In his message, Pope Francis also called for continued prayers and greater dialogue in efforts to bring peace to the Middle East. “I am aware that you are deeply concerned for the situation of Christians in the Middle East and for their right to remain in their homelands,” he wrote the patriarch. He noted that 2013 marked the 1,700th anniversary of the Edict of Milan – a proclamation of tolerance of Christianity throughout the Roman Empire, which is often seen as a symbol of the first affirmation of the principle of religious freedom. The edict “put an end to religious persecution in the Roman Empire in both East and West, and opened new channels for the dissemination of the Gospel,” he wrote. “Today, as then, Christians of East and West must give common witness so that, strengthened by the spirit of the risen Christ, they may disseminate the message of salvation to the entire world,” the pope said. Pope Francis also mentioned the upcoming 50th anniversary of the historic encounter in Jerusalem between Pope Paul VI and Patriarch Athenagoras, the meeting in 1964 that set the stage for Catholic-Orthodox reconciliation and dialogue. “God, the source of all peace and love, has taught us throughout these years to regard one another as members of the same family. For indeed we have one Lord and one savior,” the pope wrote. He underlined the importance of joining the pope for his expected visit to Jerusalem in 2014 to commemorate Pope Paul’s meeting with Patriarch Athenagoras. Meeting in Jerusalem would usher in a new season of ecumenical dialogue, Patriarch Bartholomew said. In his recent apostolic exhortation, “Evangelii Gaudium” (“The Joy of the Gospel”), the pope wrote about the important things that already unite many Christians.